Most people are unaware that one of the greatest threats to their freedom may be a United Nations program which plans to depopulate 95% of the world. The name of this plan is Agenda 21, and it was developed by the United Nations Department of Economic and Social Affairs, Division for Sustainable Development, as part of a sustainability policy. 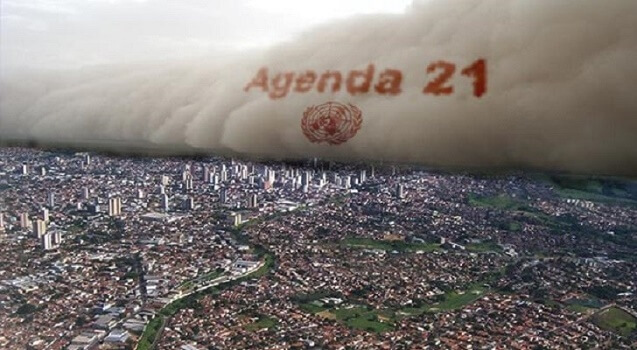 According to the United Nations website, Agenda 21 is a “comprehensive plan of action to be taken globally, nationally and locally by organizations of the United Nations system, government, and major groups, in every area in which humans have impact on the environment”. To read the full document click here. Watch the short video below to learn more on Agenda 21, in under 5 minutes. To read about Agenda 21 on the UN's website click here, or for the updated Agenda 2030 click here.